Earnings: FactSet analysts projected Amazon to report an earnings per share (EPS) loss of $0.15. Instead, Amazon crushed earnings with a quarterly profit of $0.19 a share. Revenue: Sales were estimated to come in at $22.4 billion. 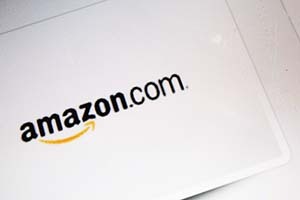 AMZN again beat analysts there, with revenue coming in at $23.18 billion. That means AMZN's sales are 20% higher than the same quarter a year ago. Since 2014, Amazon revenue has grown more than 13-fold. Loss: Last quarter, the Seattle-based company reported operating expenses of 15% at $22.46 billion, as it continues to devour nearly all the money it takes in. Expenditures included streaming-video deals, drone program development, warehouse construction, and more. In its Q1 report, Amazon indicated there may be more losses in its future. It projected a range between a loss of $500 million and a gain of $50 million for operating expenses in Q2. Indeed, Amazon's indications proved truthful. This quarter, operating expenses came in 17% higher than a year earlier at $22.11 billion. Cloud sales: Amazon broke out financial details of its cloud computing unit, Amazon Web Services, for the first time in Q1, and it was a stunner. The company notched cloud sales of $1.56 billion – a 49% gain year over year. CEO Jeff Bezos says his company's cloud-based service, Amazon Web Services, will likely evolve into a $5 billion business this year alone. This quarter, cloud didn't disappoint. 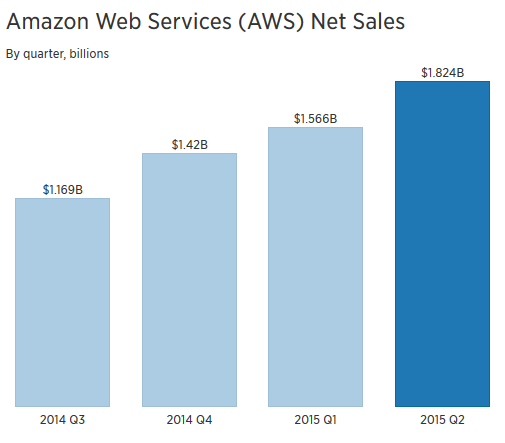 Sales for Amazon Web Services rose to $1.82 billion, an 81% increase from a year earlier. Operating income in the segment rose to $391 million, more than quadrupling from $77 million. The business accounted for roughly 8% of Amazon's revenue in the quarter.